Monterey Green Watch. 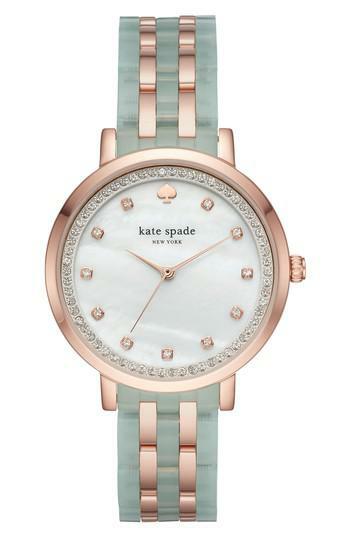 A soft rose plated case, mother-of-pearl dial, and feminine two tone strap make the Monterey watch from Kate Spade perfect for every day. Round face. Spade detail at 12 o'clock marker. Crystal indexes. Three hand design. 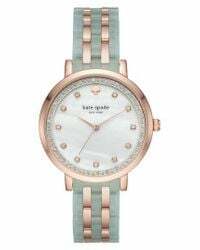 Two tone strap. Branded face. Acetate, Stainless steel.